Barefoot by the Sea: bg2770design Feature and Coupon! I hope you all had a wonderful Thanksgiving weekend! Ours was spent with family, it was warm, wonderful...and delicious! For those of you who braved Black Friday, I hope it was successful. For the rest of you who are still looking for ideas and inspiration, I bring you bg2770 Design! Beautiful, contemporary art! 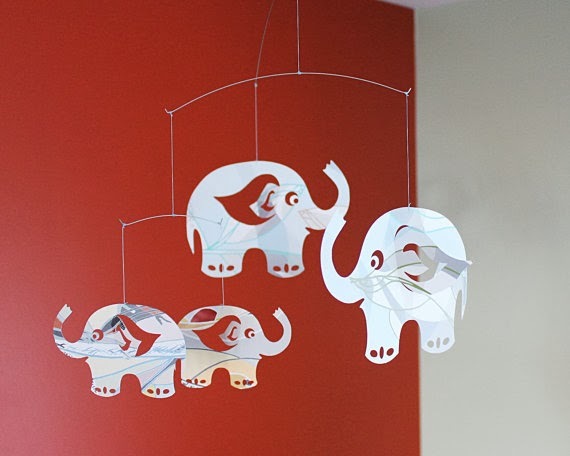 I adore the details in their Elephant Mobile. For $25 this is the perfect baby shower or holiday gift for a special person in your life! 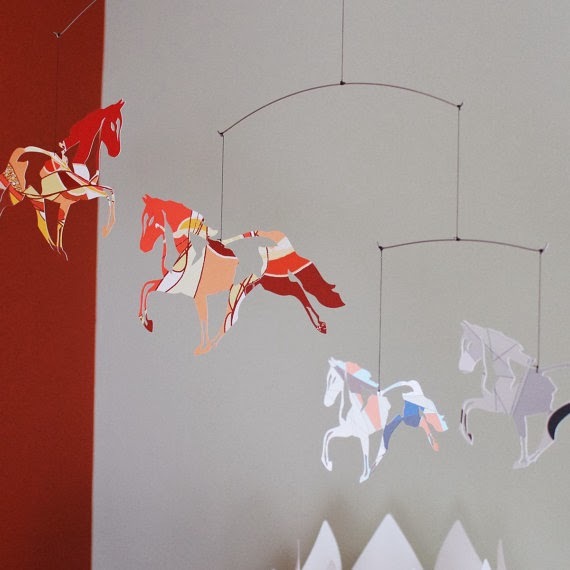 We also love the Horse Mobile! 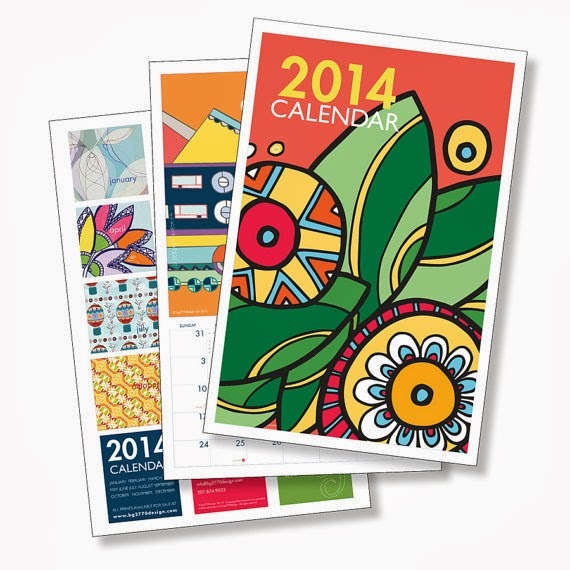 The 2014 Wall Calendar is handmade and ready to ship! You can check out the wide variety of Art available here and their Jewelry here. If you don't see an item available at bg2770 design's etsy shop, no worries, you can contact them directly through their website for any of the items you see! 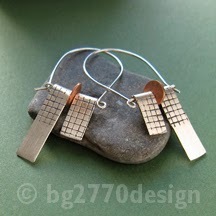 Be sure to "like" bg2770design on Facebook to be "in the know". 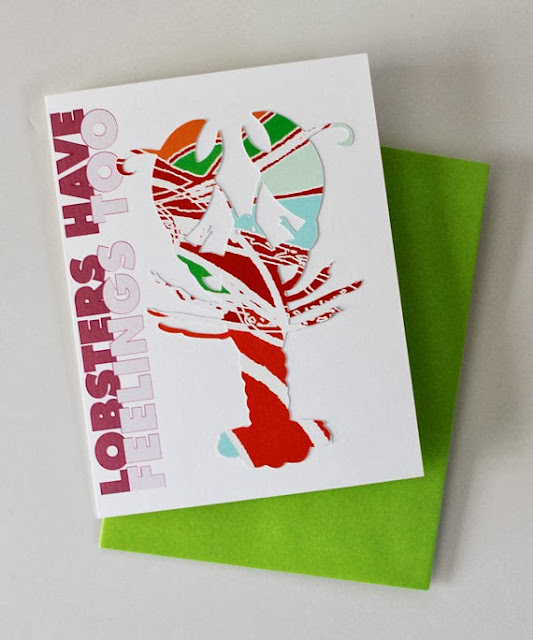 If you are in the coastal Maine or New England area, be sure to check to see when and where the shop's items will be showcased! You can also like them on Pinterest here and sign up for their newsletter. And, drumroll please! bg2770design is generously offering you all 25% off any purchase of $20 or more in their etsy shop for a limited time! Simply enter the code BG2770DESIGN25OFF. This coupon is good until December 8th! These are really great designs! What a fun shop! !